4. Website traced to Makati City, Philippines. 5. Email is very sparse and has no explainatory text.
" 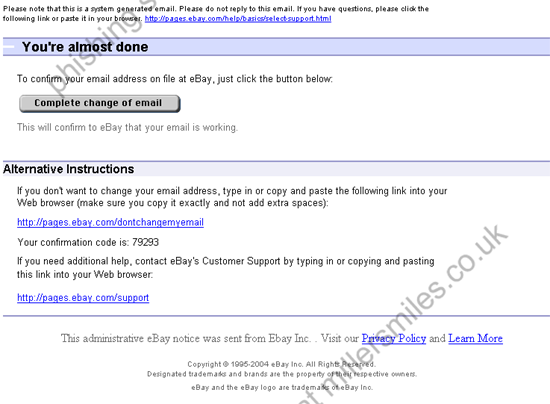 To confirm your email address on file at eBay, just click the button below:"